Enjoy coastal living at a pristine, beachfront paradise at Kiva Dunes Resort in Gulf Shores on the Alabama Gulf Coast, offering beach rental homes and real estate sales. With an unquestionable West Indian touch combined with a hint of Spanish, African and Southern U.S. influences; the family vacation homes at Kiva Dunes create a welcoming environment at one of the most splendid seaside developments in the world. Whether you are looking for elegant beachfront services, or the personal touch of a vacation rental home or condo by owner, Kiva Dunes has accommodations to meet your needs. Kiva Dunes is the #1 rated golf course in Alabama and offers an exceptional and unforgettable golf opportunity, a "must play" while visiting the Gulf Coast Alabama Gulf Coast. Kiva Dunes is conveniently located on the north Gulf Coast, the privacy of the white-sandy beaches of the Gulf of Mexico, with gentle waves and unspoiled shorelines creates a lifestyle that is a world away. 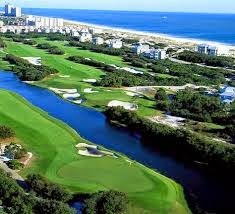 Make it happen, plan to visit Kiva Dunes for an unforgettable experience in Gulf Shores AL.